Today Nintendo announced the NES Remix initiative, which will contain new twists and updates to 16 classic Nintendo titles available on the Wii U eShop. 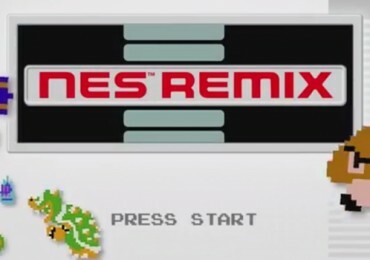 The NES Remix is available today and will costs $14.99 in the US and £8.99 in the UK. It will feature “quick levels” from classic games, of which some will be relatively unchanged while others will contain new gameplay mechanics during iconic moments. Nintendo showed a debut footage that gave a taste as to what this NES Remix will bring. For example, in the footage shown a Zelda sprite appeared in Donkey Kong, so was a reversed Mario Bros level, and a level in Excitebike that will have players navigating a pitch black path using a bike with only a flashlight attached. NES Remix will contains Miiverse functionality and will include stamps and provide the ability to post records from various levels as well.